This Christmas Party Planning Tips post is sponsored by NABISCO Cookies and Crackers for IZEA. All opinions are 100% mine. Christmas is a chaotic time of year. There are gifts to buy, trees to decorate and classroom parties to supervise. It’s easy to forget the truly important things with all the stress surrounding us. What’s really important during the holiday season is celebrating with friends and family. Having our loved ones (and the occasional annoying ones) around us on Christmas is what makes this holiday truly wonderous. Of course, having guests for the holidays can be stressful but it doesn’t have to be. Here are a few Christmas party planning tips that will get you in the festive spirit without giving you a nervous breakdown. 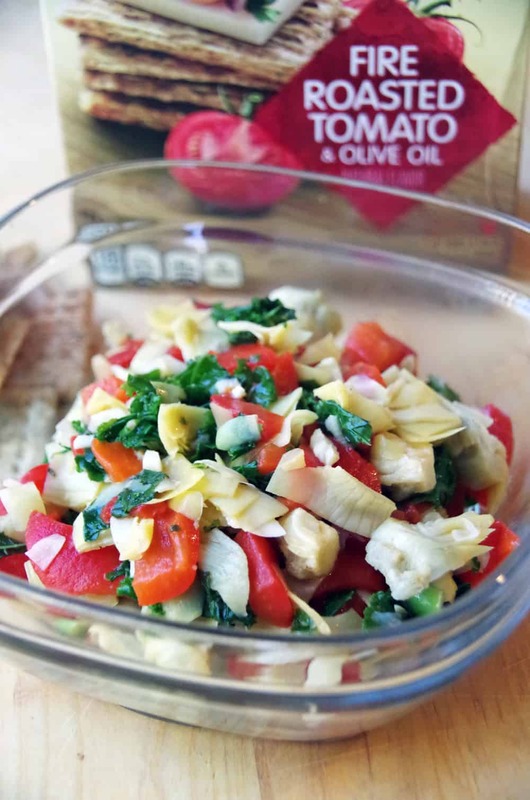 I’m also sharing an Artichoke & Kale Bruschetta Topper Recipe to help you create your own easy and healthy appetizer recipe. If you want a few more Christmas party planning tips, check out the NABISCO Party Planner website! NABISCO is also offering great coupon savings – exclusively at Publix! I have come to love Publix so much since moving down south! What sort of savings are they offering? Just Click The Photo Below for Coupons! Set the date and let people know: Christmas is a busy time of year and people have a lot of parties to attend. Don’t worry about fancy invitations. Just send an email with a date and time. Otherwise, you may go through a lot of work and have no guests at your party! Set a budget: Unless you are made of money, you can’t buy everything. Decide where you want to spend your money and don’t worry about the rest. A few simple holiday decorations, good food and your friends and family are all you really need. Don’t stress out over decorations: Don’t buy hundreds of dollars worth of decorations that you may never use again. Keep things simple and inexpensive. Fill a basket with pinecones or have your kids make paper chains of red and green construction paper. 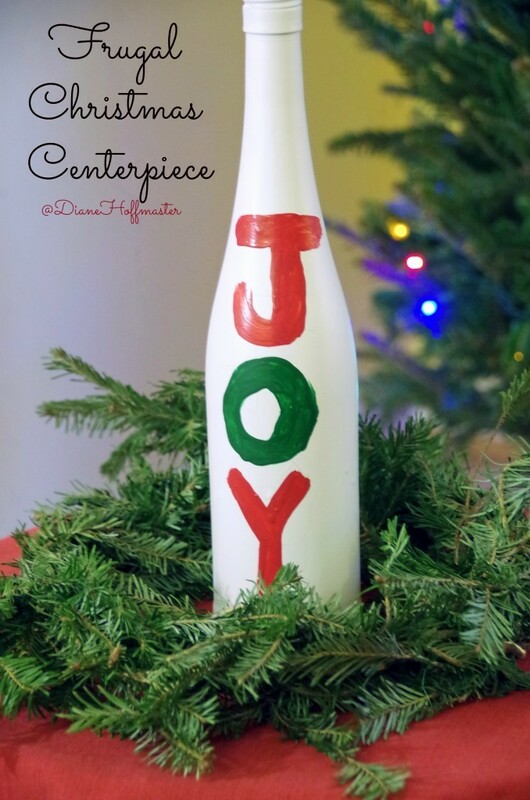 A home decorated with children’s arts and crafts is a festive and loving one! Plan some entertainment: This doesn’t have to be a live band and actors dressed up as elves. A few simple games, some festive music on the stereo and most people are totally happy. 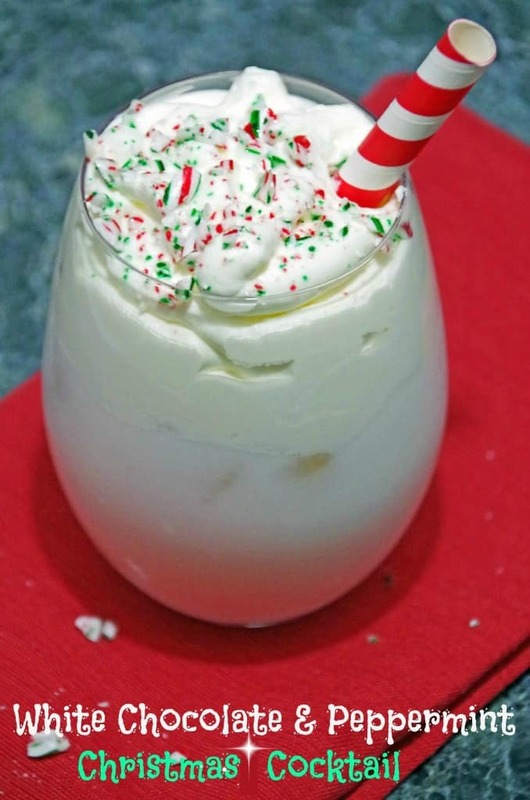 Make drinks up ahead of time: Don’t waste your entire holiday party making cocktails for your guests. Make a large pitcher of a red wine sangria or an easy and delicious Christmas cocktail recipe. Keep the pitcher in the refrigerator and let guests serve themselves. Fill your guests bellies! My most important Christmas party planning tips involve the food! Keep it simple and do as much as you can before the party. Don’t worry about every little thing being from scratch. Your goal is to feed your guests tasty food that looks impressive without spending the entire party in the kitchen. 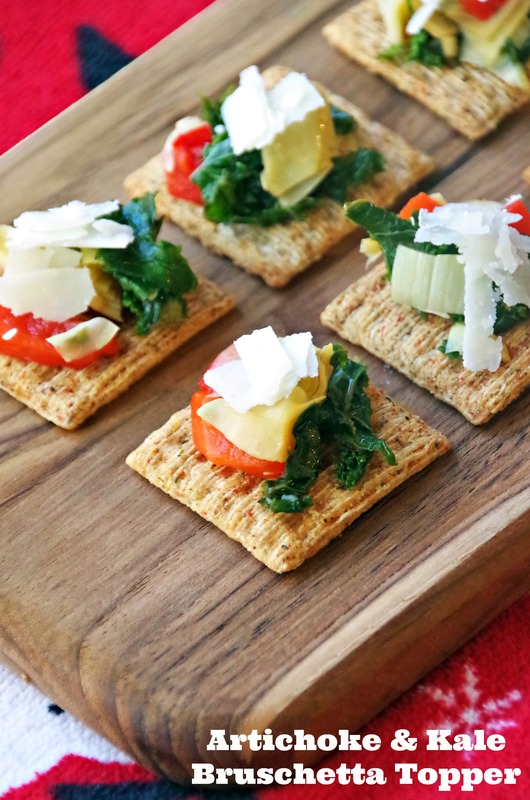 Look for easy and healthy appetizer recipes like the one below for Artichoke & Kale Bruschetta Topper. 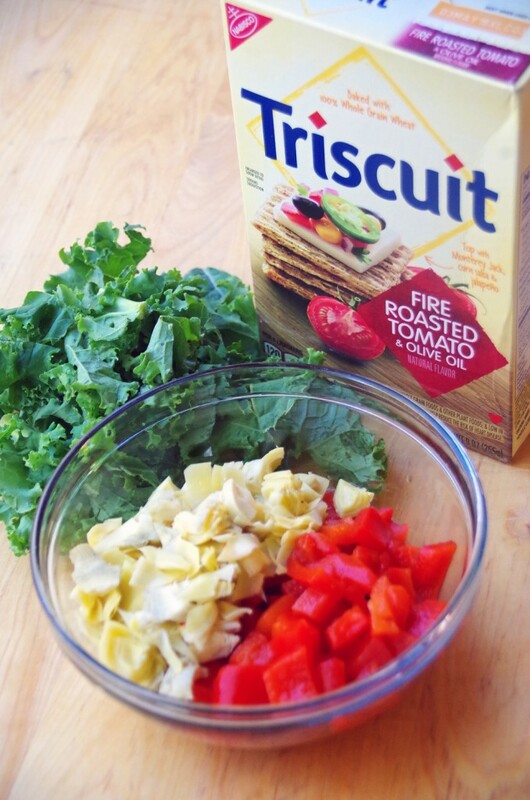 This Artichoke & Kale Bruschetta Topper is served over Fire Roasted Tomato & Olive Oil Triscuits. It looks beautiful and is incredibly easy to make. I love how healthy all the ingredients are and it can be made up ahead of time, which makes things easier on the hostess. 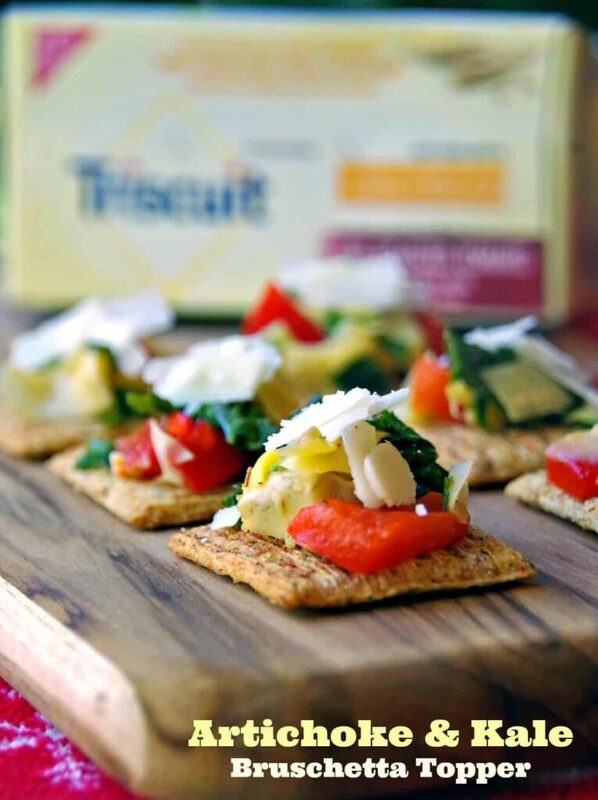 If you are traveling and would like to BRING an appetizer, just grab a box of Fire Roasted Tomato & Olive Oil Triscuits and a container of shaved Parmesan cheese. Make up the topping and cool, taking it with you in a sealed container. Once you have reached your party, just microwave your topping for a few minutes and assemble. Its incredibly easy! No matter how simple or extravagant your holidays are going to be, remember that food, family, and friends are all you really need. I hope these Christmas party planning tips help you put together an enjoyable get-together. Don’t forget to grab a coupon before picking up those Triscuits at Publix! This artichoke and kale bruschetta topper tastes deliciou! Heat oil in large skillet on medium-high heat. Add next 4 ingredients; stir. Cook 3 to 5 min. or until kale is wilted, stirring frequently. Remove from heat. Add wine to artichoke mixture; mix well. Cook 2 to 3 min. or until wine is cooked off, stirring frequently. Spoon artichoke mixture onto crackers; top with cheese.